Artisan aircraft maker takes off. Washington State is well-known as the world leader in commercial jet design and production. For over 100 years aerospace innovation has been at the heart of Washington’s manufacturing sector. Alongside world leader Boeing, smaller Washington companies such as Glasair Aviation based in Arlington, Washington are utilizing advanced materials and design to produce aircraft for the consumer pilot market. 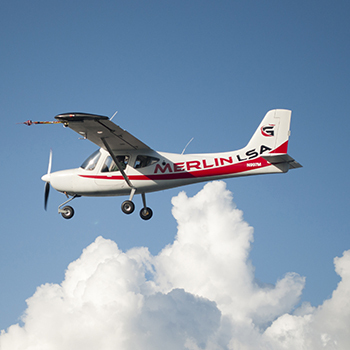 Formerly a producer of kit-built aircraft, Glasair has received FAA approval for full manufacturing of their Merlin airplane. Read more in The Seattle Times. Key to success in the aerospace industry is a workforce highly trained in working with composite materials and next-generation manufacturing processes. Washington State’s technical and community colleges are at the forefront of training workers for the demands of the new technologies. The Washington Aerospace Training and Research Center at Edmonds Community College and the Center for Excellence in Aerospace and Advanced Manufacturing are just two of the organizations creating a highly skilled aerospace and manufacturing workforce.